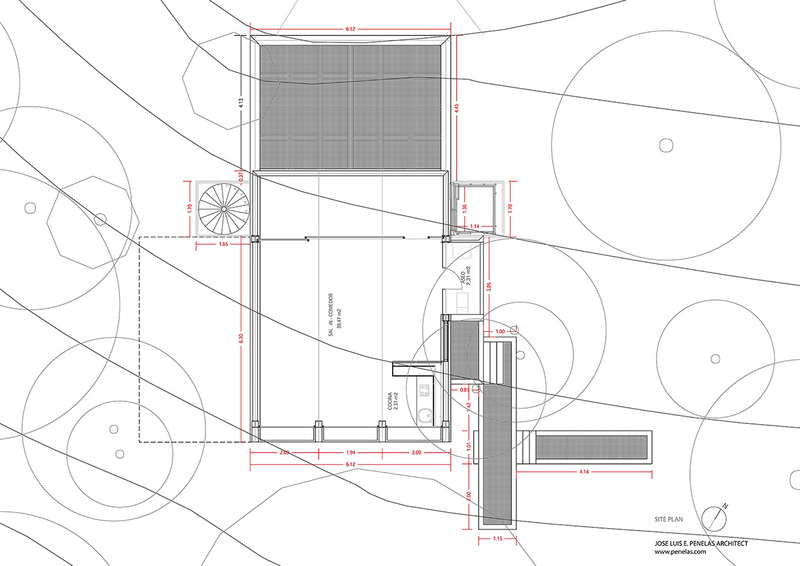 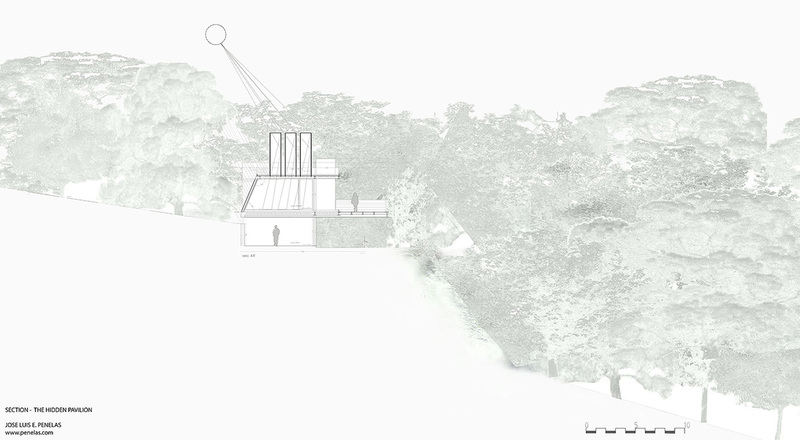 The Project fulfills the desire to Build a space for meditation and retreat, a place to Inhabit and to Think. 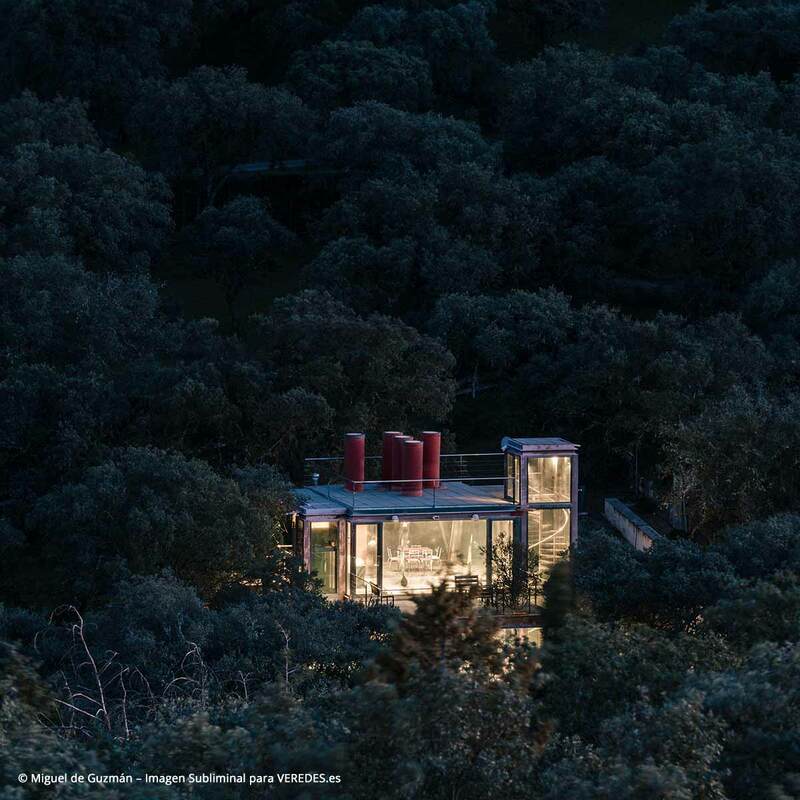 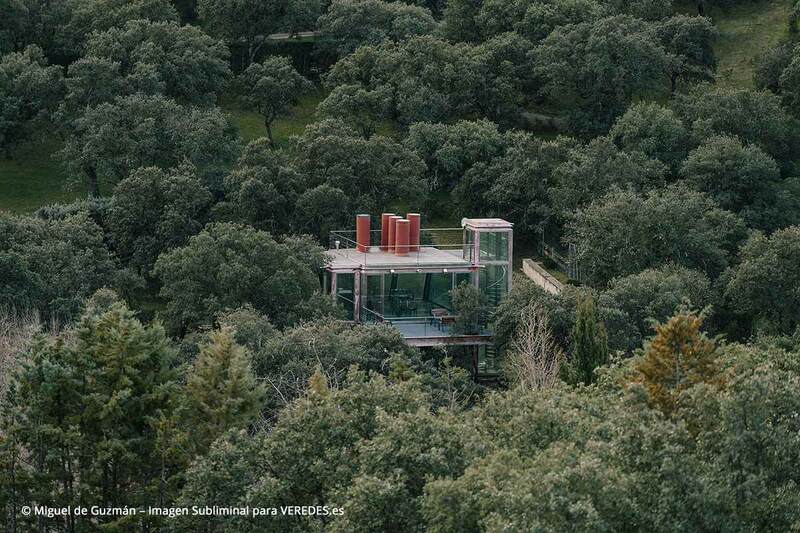 The pavilion is built in a glade of the forest, the only clearing without a tree. 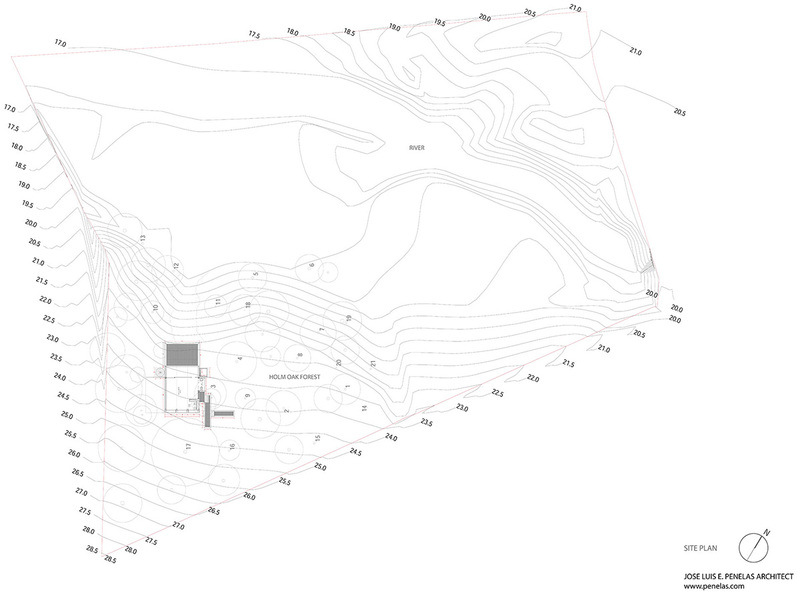 It is wrapped up in Nature, hidden in it, in a way that it is only slightly perceptible. 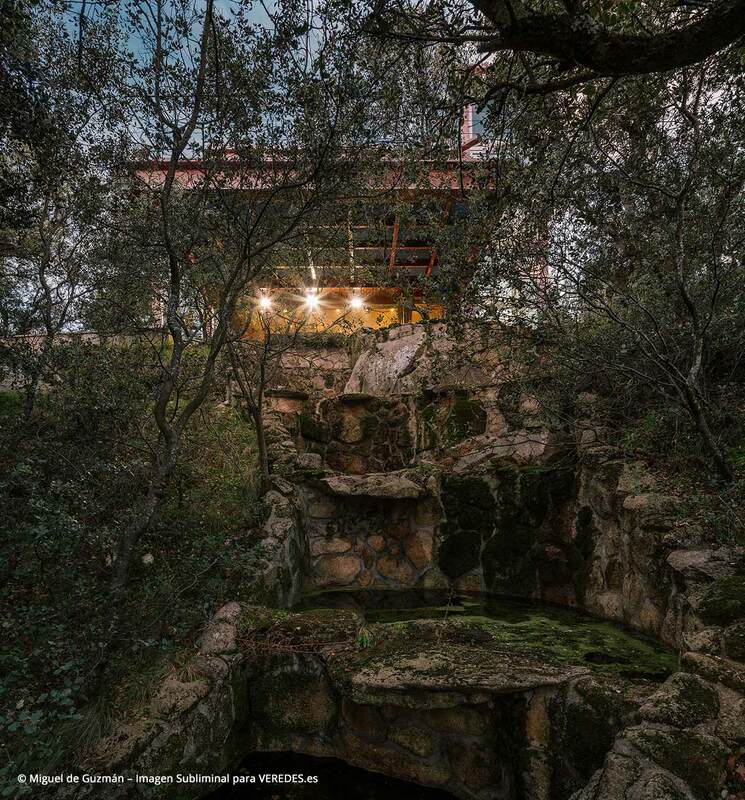 Suspended over a small waterfall, the pavilion protects it. 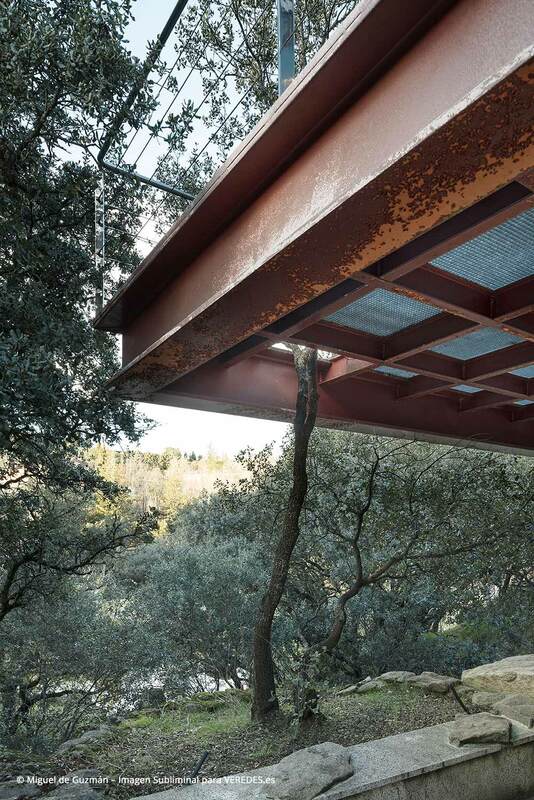 The pavilion interacts directly with the growing of trees, allowing them to pass through its terraces and cantilevers by gaps built for them. 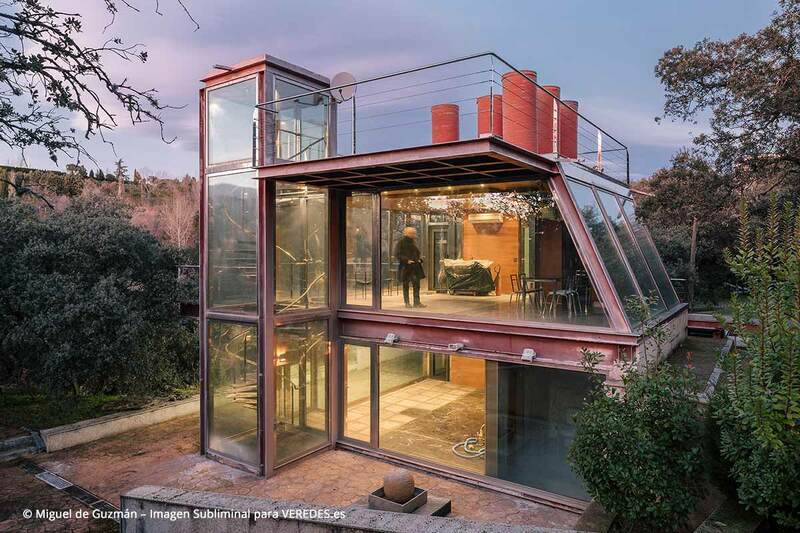 Fully embedded within the forest, the pavilion openly embraces the presence of Nature through the enclosure of its glass exterior. 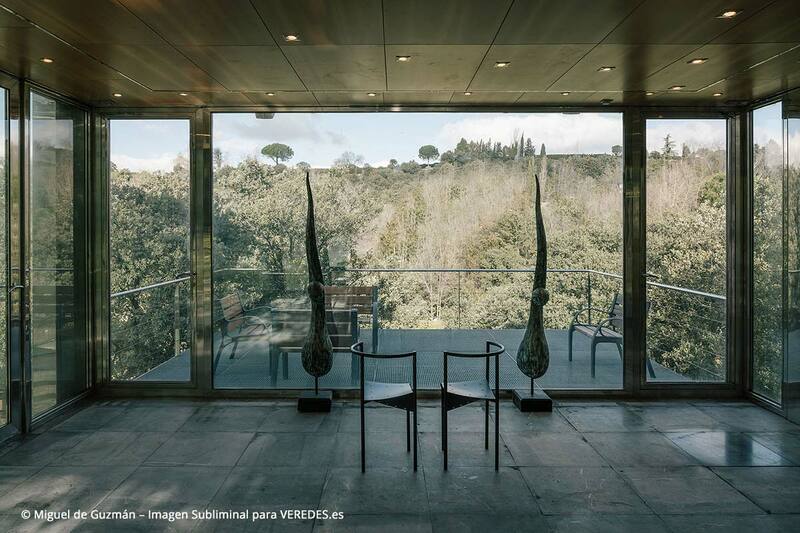 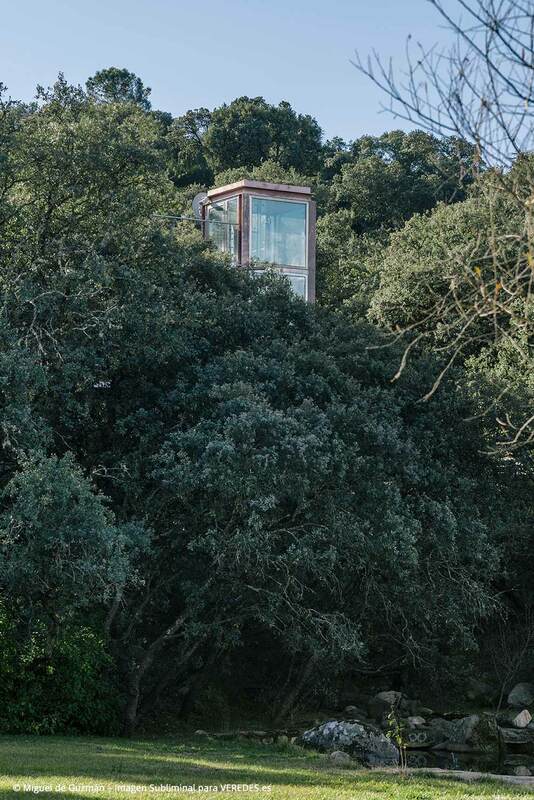 The upper level surface is inclined, respectfully providing room for the growth of a bicentenary holm oak tree. 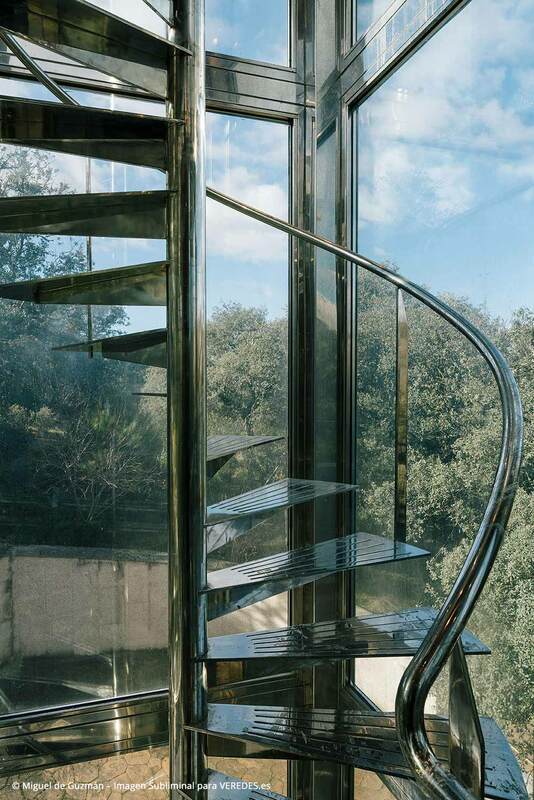 The raised light wells catch the sunrays and directs them downwards towards the interior, rays that would have otherwise been blocked by the holm oak tree. 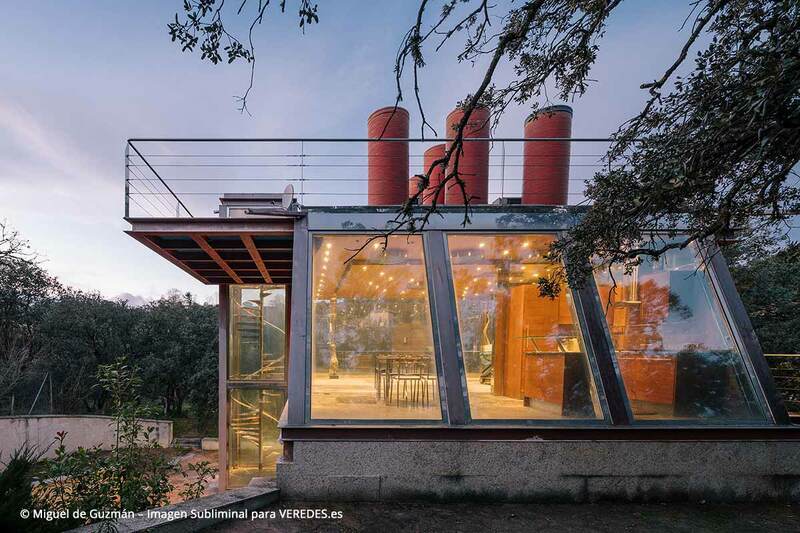 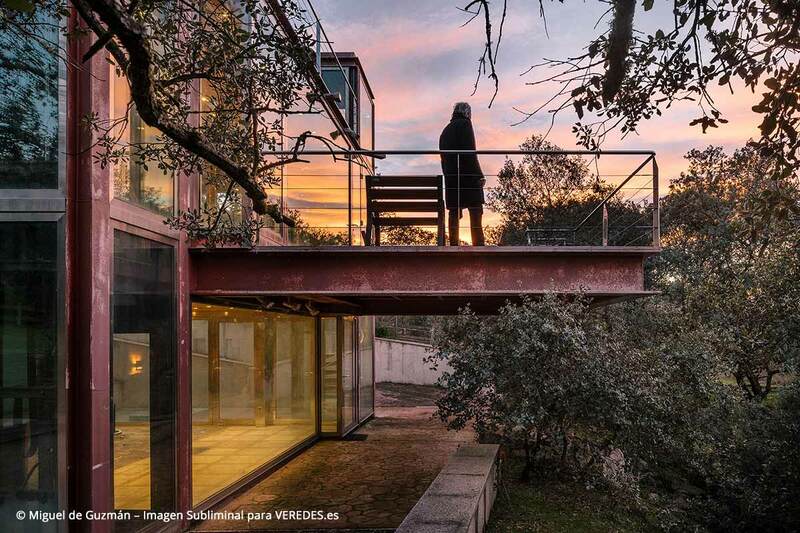 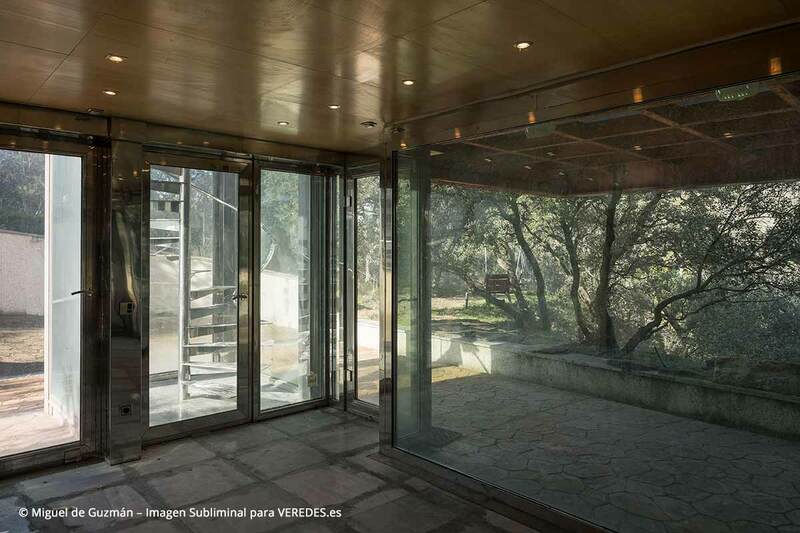 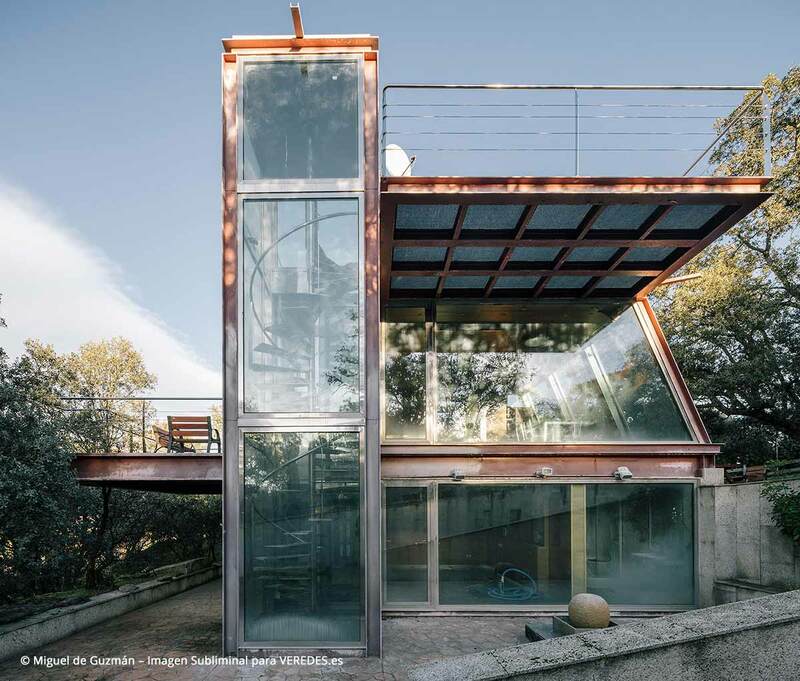 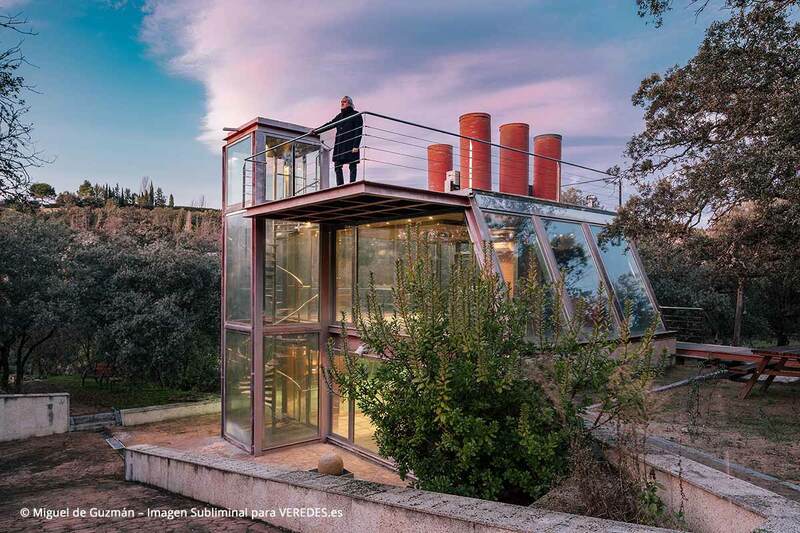 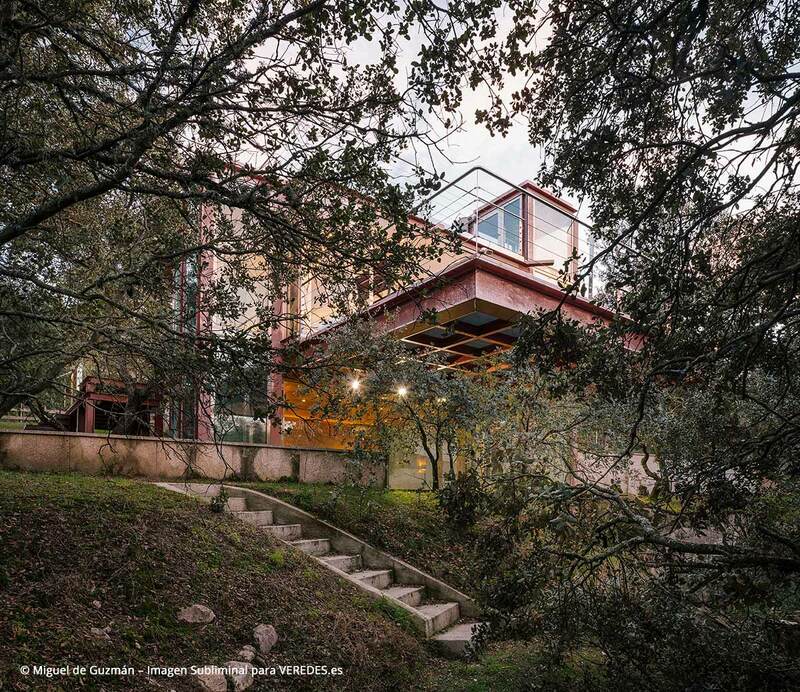 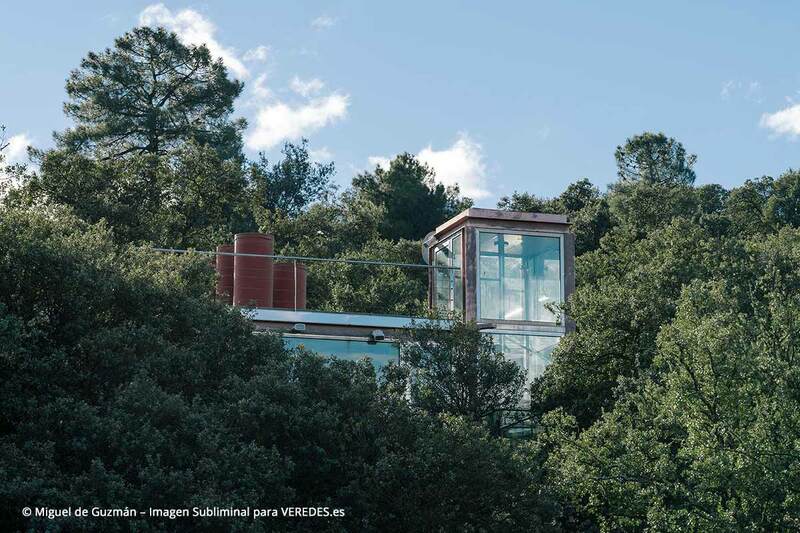 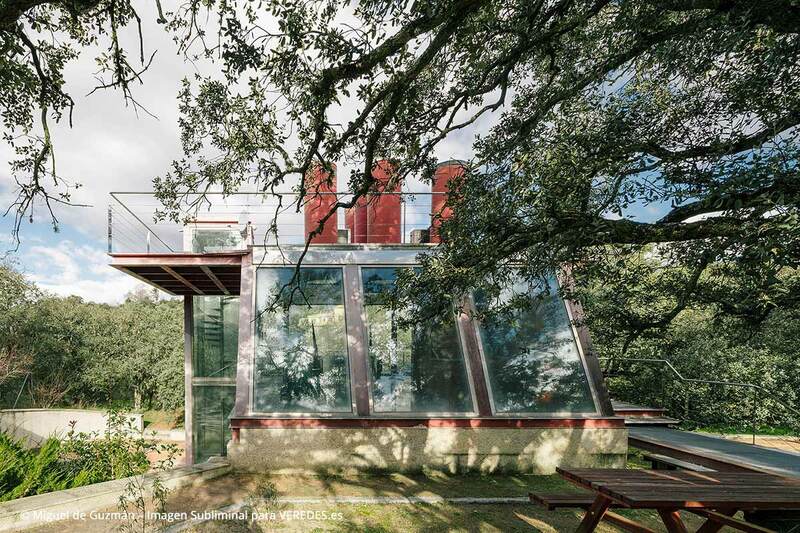 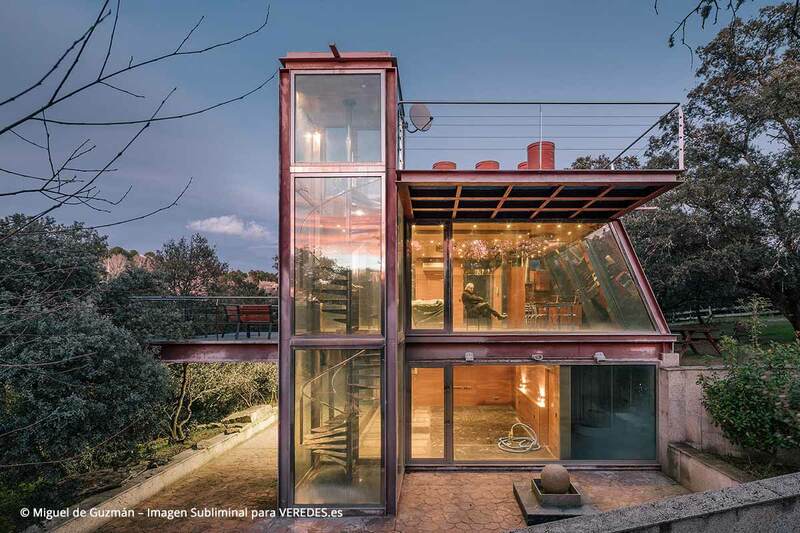 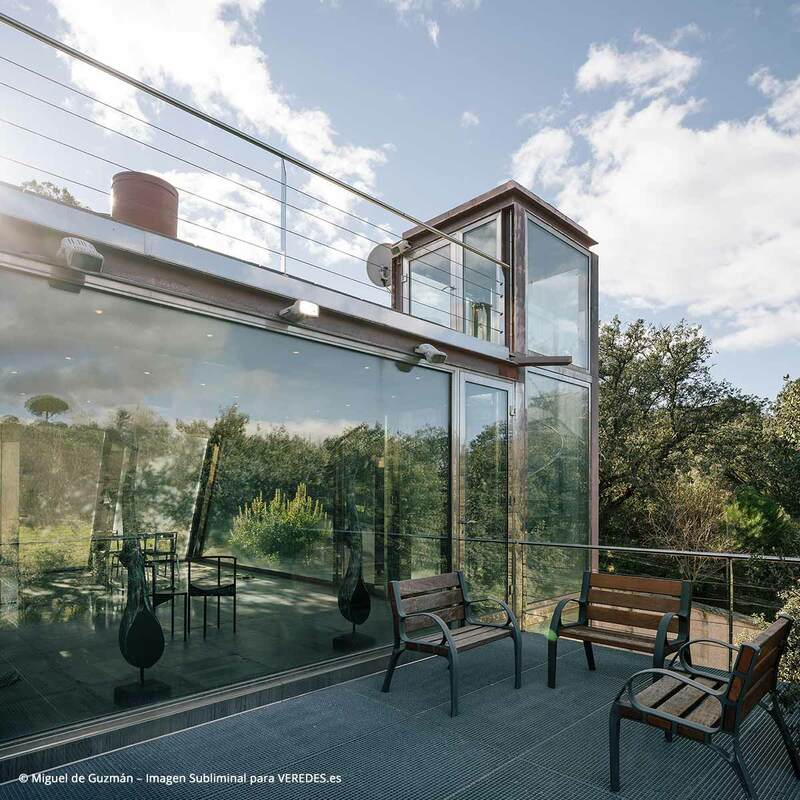 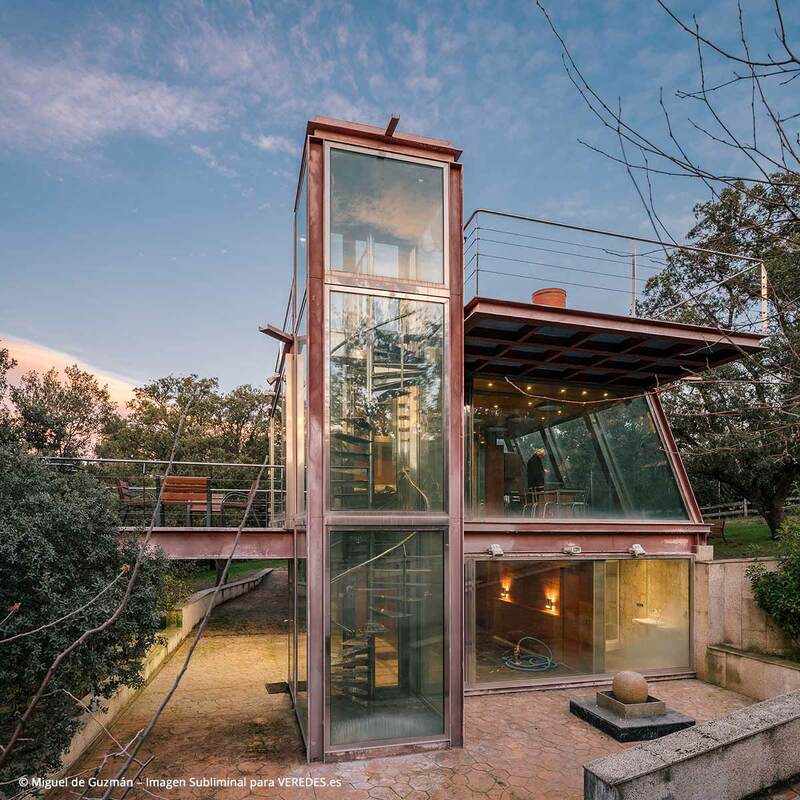 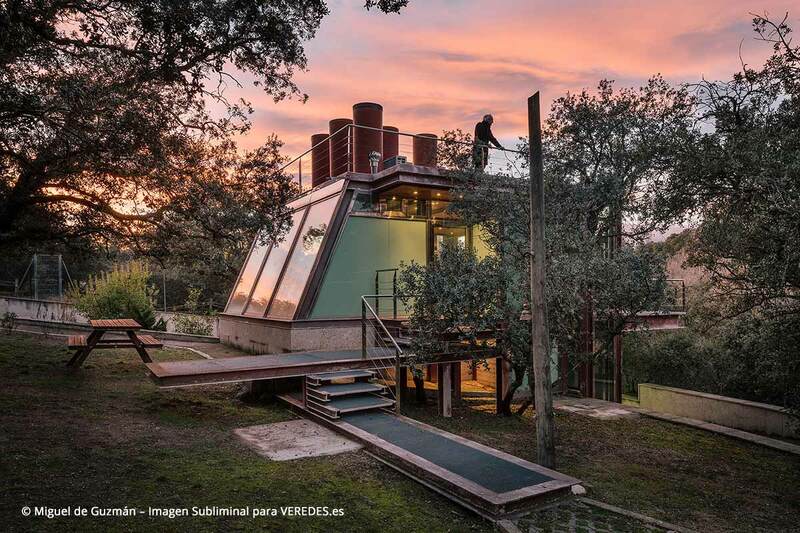 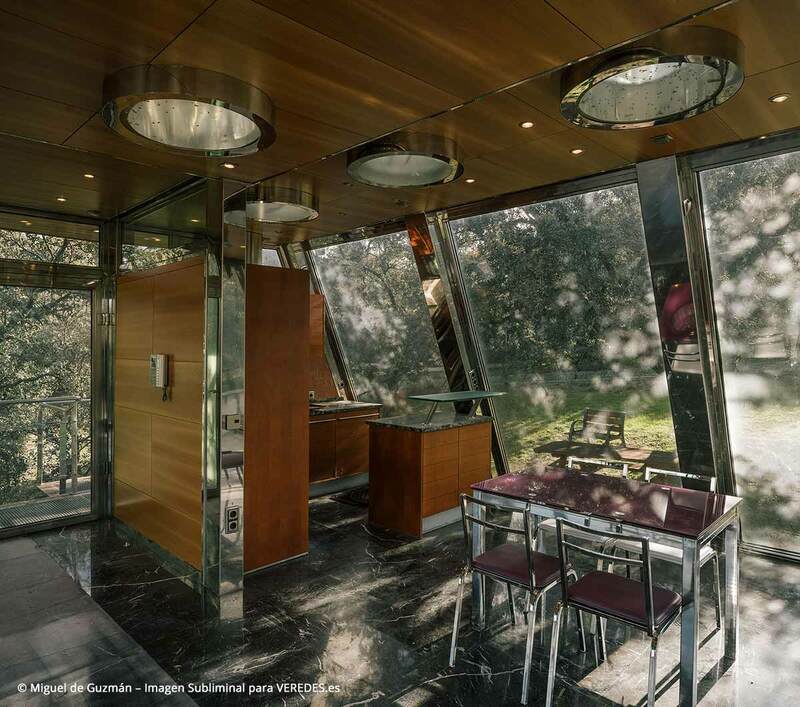 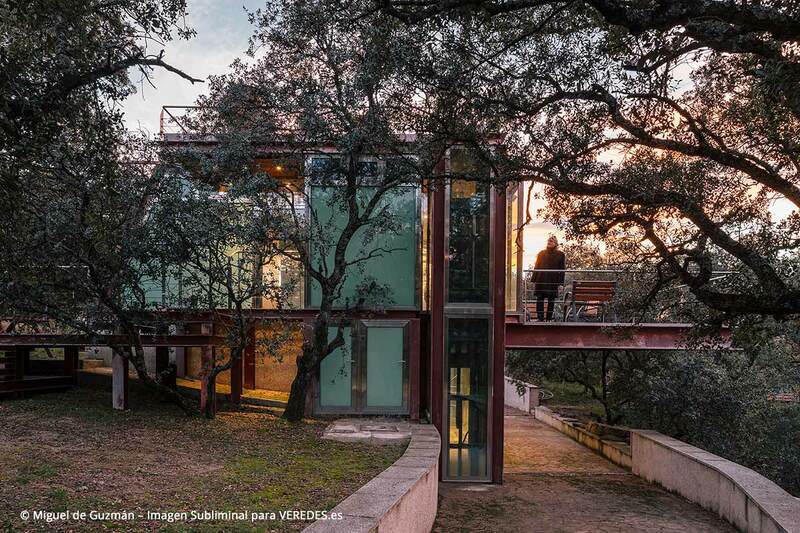 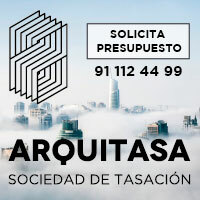 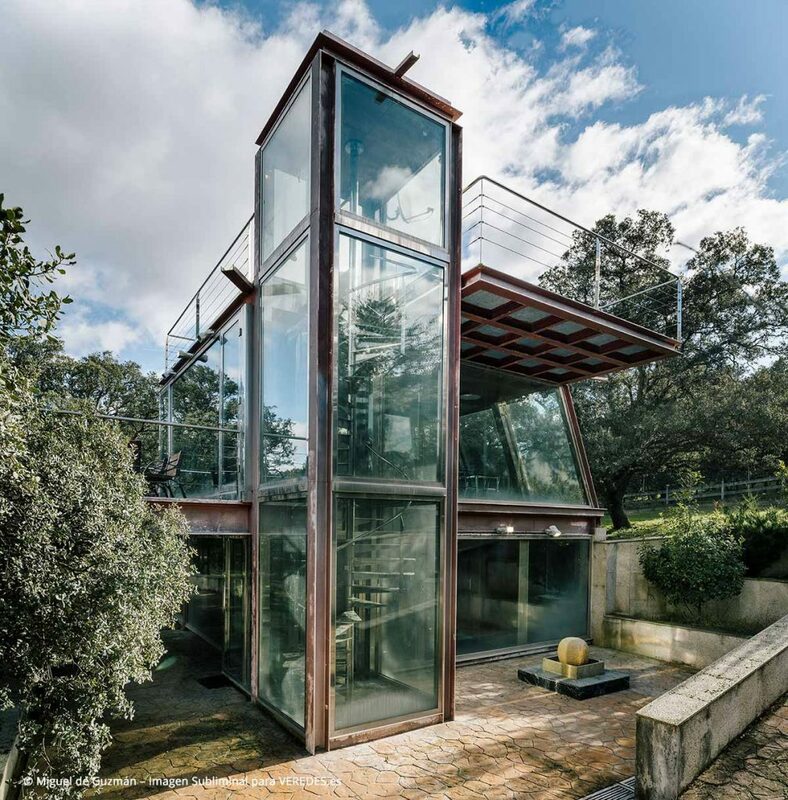 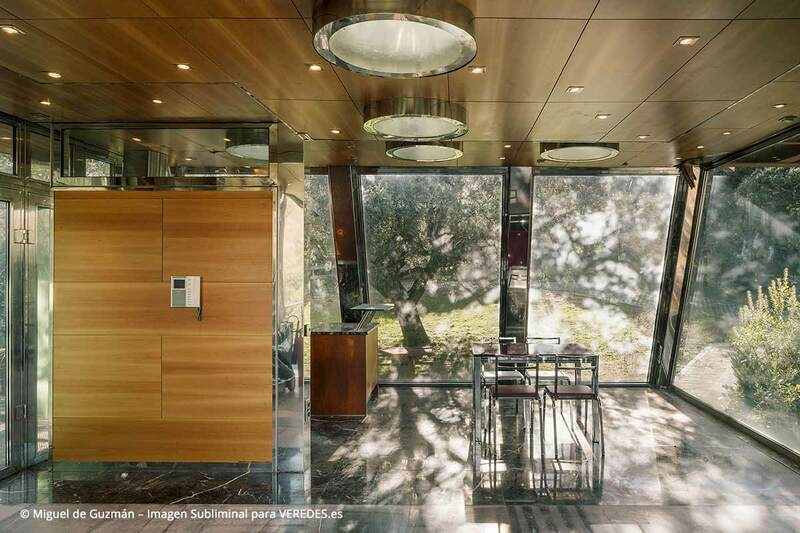 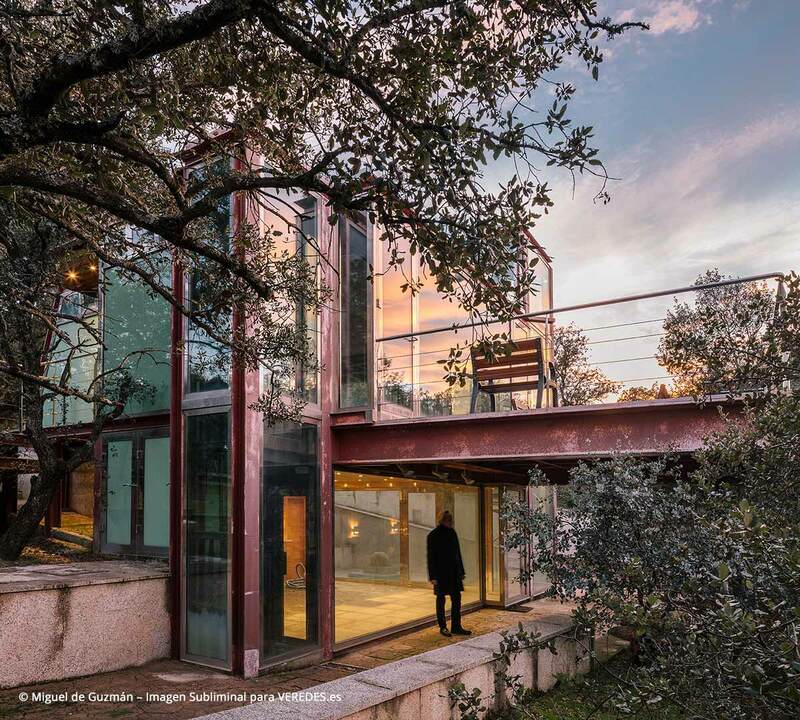 Only three materials are used: rusted steel structure, glass facade and cherry-tree wood interior, brining Nature inside. 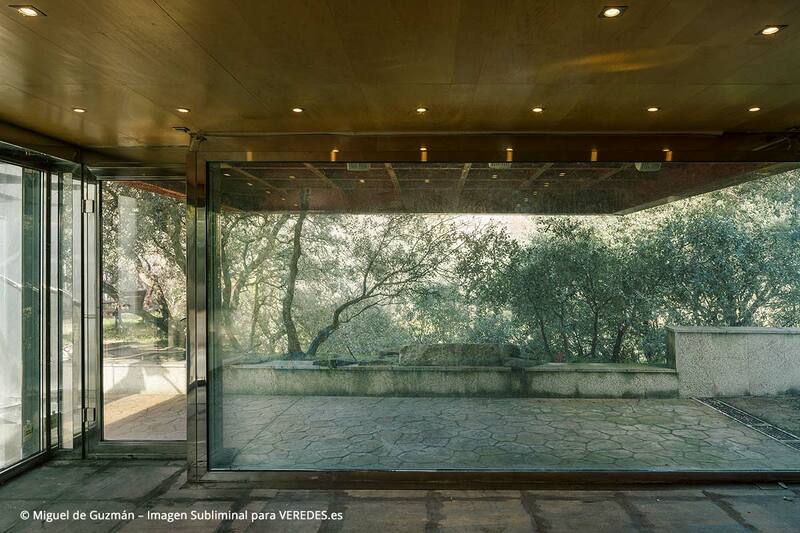 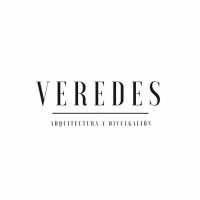 The passing of the seasons generates new senses and emotions within the design.